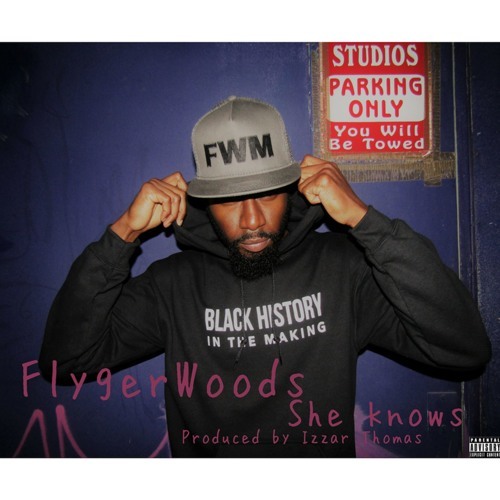 FlygerWoods "She Knows" Produced By: Izzar Thomas Street Date: February 14th, 2018 FlygerWoods wishes everyone a Happy Valentines Day with "She Knows", the first single from the Houston rap artists' forthcoming EP. "She Knows" is a straightforward song about the kind of woman who likes what he likes. Produced by rising Houston artist Izzar Thomas, "She Knows" will be available on all digital retailers and streaming platforms February 14, 2018.